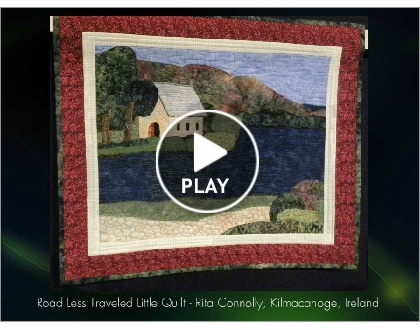 The first International Quilt Festival of Ireland was held June 8 – 10, 2012, in Galway, Ireland. 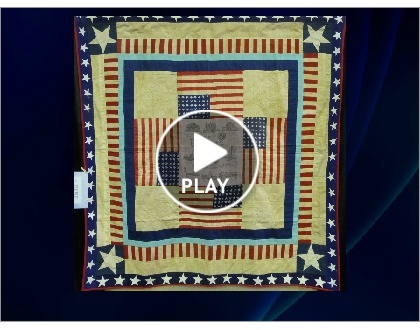 Here is a Smilebox presentation from The Quilt Show of some of the quilts. My friend, Birgit Schueller, won Chocolate Decadence Grande Prize Award for her “Chocolatte.” Birgit is from Riegelsberg, Germany. The AIDS Memorial Quilt currently contains more than 47,000 panels with the names of more than 93,000 people. Laid end to end, they would stretch more than 50 miles. No one has tried to exhibit the entire “quilt” since 1996, because it is an awesome job! Beginning tomorrow it’s about to be done, as the 25th anniversary of its first showing begins. The entire quilt, which weighs 54 tons. is coming back to Washington, D.C., where it was shown between 1987 and 1996. Pieces will be on display during the Smithsonian Folklife Festival from June 27 – July 1st, and again July 4th through July 8th, 2012. The organizers plan to display every segment from July 21 – July 25, 2012, on the National Mall and in more than 50 venues around the city, during the International AIDS Conference. 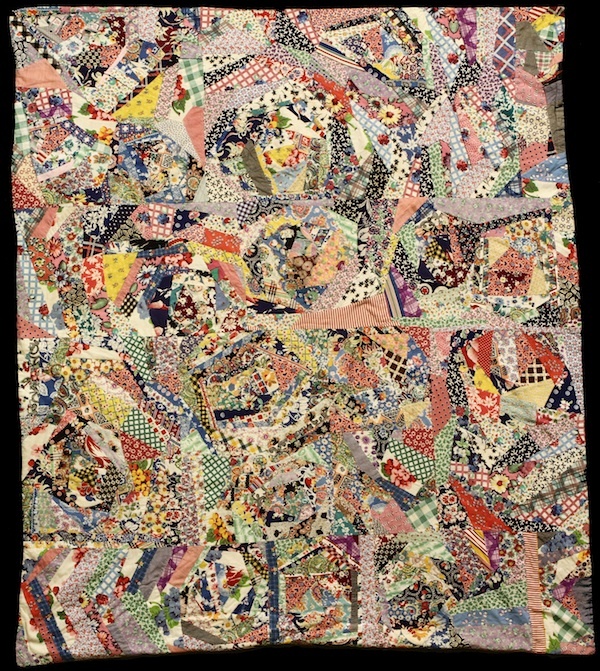 Quilt National 2011 is on exhibit at Doris Ulmann Galleries in Berea, Kentucky, through August 4, 2012. This exhibit contains selected artwork from Quilt National 2011. It is produced and circulated by the Dairy Barn Southeastern Ohio Cultural Arts Center in Athens, Ohio. Celebrating Diversity is at The Quilt Museum and Gallery in York, United Kingdom, through September 1, 2012. This exhibition was organized by the European Quilt Association. Each participating country provided two quilts. The National Quilting Association Show is this weekend in Columbus, Ohio, June 14 – 16, 2012, at the Greater Columbus Convention Center. The Quilt Show has a Smilebox presentation of the beautiful antique star quilts that were exhibited at the Rotary Club’s Civic Center this year for the American Quilter’s Society Show week in Paducah, Kentucky, April 2012. Bold Patterns, Bright Colors: Graphic Pennsylvania Quilts, 1850-1915 Mercer Museum in Doylestown, Pennsylvania, is exhibiting more than twenty quilts from the collection of Paul and Rita Flack. The quilts are particularly expressive of Pennsylvania-German textile traditions, especially those of the Mennonites. Textiles are supplemented by quilt-related artifacts from the Mercer collections. “As it begins an ambitious new plan to add international quilts, The Quilt Index (http://www.QuiltIndex.org) is happy to announce the first posting of historic quilts from the Royal Alberta Museum in Edmonton in UK. The Royal Alberta Museum (http://www.royalalbertamuseum.ca) boasts a fine collection of about 75 quilts related to the province’s history, and so far about 45 of them have been posted to the Index’s online archive. Eventually, many more of the vintage quilts in the museum’s collection will be added, as well as other heritage quilts that are still being documented from regional museums and private collections. “The Quilt Index is a remarkable resource that is also becoming a laboratory for cutting-edge research by new teams of collaborators drawn from diverse humanities and science disciplines. They are finding this open-source visual and text repository enables them to pose and investigate new humanities and science questions,” said Marsha MacDowell, curator, Michigan State University Museum, professor of art and art history, MSU, and a co-director of The Quilt Index. One particularly striking example is a Grandmother’s Flower Garden quilt (pictured at right) that the museum believes was brought to Alberta from Louisville, Kentucky by the Paul Booker Reed family. Heins said that Reed was a mayor of Louisville who later moved his family to Seattle and then to a ranch in the Fort Macleod area of western Canada. There are also a number of crazy quilts in the museum’s collection that are remarkably vivid, made between the end of the 19th century and the beginning of the 20th. Many follow fairly familiar crazy quilt schemes in their use of luxury fabrics like velvet and silk and their embellishment with lots of embroidery stitches. But a vividly atypical one was made by Margaret Fraser, wife of a fur trader who was at Fort Edmonton in the 1870s and 1880s. This quilt (pictured below) has been dated to 1938, and is filled with typical ’30s fabrics: it is rewarding to use the Index’s drag and zoom tool, to look up close at the astonishing number and variety of patterned fabrics. This particular collection will be one that historians and Index fans will want to keep revisiting because of the ambitious plans by the Royal Alberta Museum to continue adding content. Among other related projects, curator Lucie Heins is working on a newly discovered trove of records documenting some 1,000 quilts from private collections in Southern Alberta. These records are being donated to the museum, and eventually, some of these quilts will be added to the Index. The Quilt Index website http://www.quiltindex.org/ provides centralized access to nearly 50,000 records, including quilts from state or regional documentation projects, museum and private collections. The Quilt Index, launched online in 2003, is a joint project of Michigan State University Museum; Matrix:Center for Humane Arts, Letters and Social Science Online at Michigan State University; and the Alliance for American Quilts. The Quilt Index merges tradition with technology and springs from the work of a unique team of researchers and experts committed to making significant, quilt-related data widely accessible to both scholars and the general public. Until recently, all the quilts on the Index have come from U.S.-based museums and projects. But now the Index is beginning to work with museums and documentation projects abroad, and is pleased that the Royal Alberta Museum is one of the first to start posting. There are also quilts on the Index from South Africa, and many more countries will be joining the mix in future years. The Quilt Index relies on grants, substantial in-kind and cash support from Michigan State University and the Alliance, and contributions from individual donors. 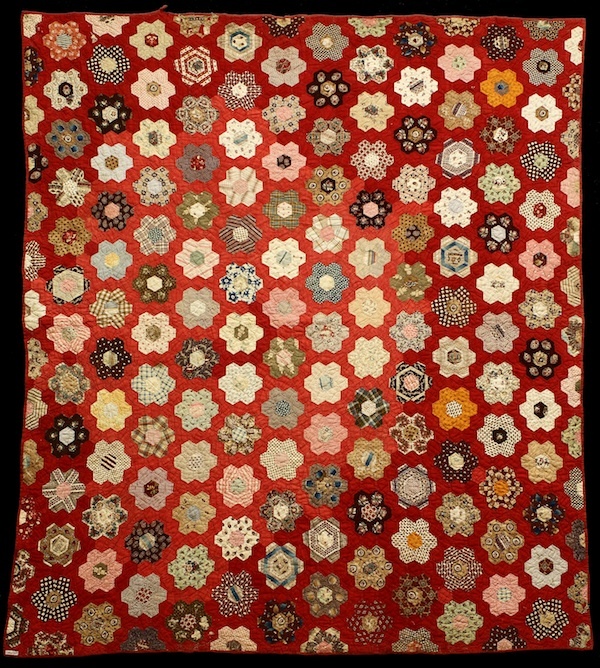 An easy way to access the Index and help support its maintenance and growth is to purchase the moblie app at http://www.quiltindex.org/ , which features a quilt of the day and endless access to images from The Quilt Index.